On the 21 July 1924 a meeting was held to discuss whether to reconstruct a public hall on the old School of Arts site (Cnr Paynes Lane and Upper Lansdowne Road) or build a new hall in a more central situation. After considerable discussion it was decided to proceed with the construction of a new hall adjacent to the local post office and public school. A committee was elected consisting of William McLaughlin, J McDonell, D Minett, James Ritchie, T Schubert, Walter Fennings, L Mitchell, W Atkins and James McLaughlin. The committee promptly acquired the necessary land from Mr James Crittenden (a considerable donation). A canvass of donations was responded to by the district and nearly £200 was contributed in both cash and material and labour. 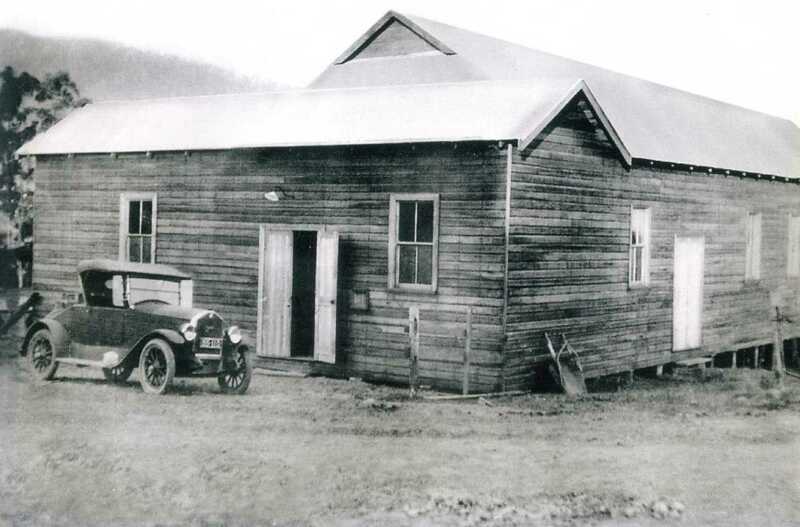 The building was designed by Mr Walter Fennings (the school teacher) and Mr James Ritchie a local builder. The building was designated “Upper Lansdowne Memorial Hall” as a wish amongst the people. The foundation stone was laid on 21 February 1925 by Mary Jane (Granny) Cicolini. The hall cost £805 to build and about £668 remained owing at the time of the opening. By 31 July 1926, £430 had already been paid off the cost of the hall. The following year on the 6 August 1926 a Memorial Hall Anniversary Ball was held followed by a juvenile ball on the 7 August 1926. We are keen to know more about the early history of the hall. If you have any information or photos please contact Gloria by phone on 6556 9137 or via this contact form.